​Tottenham Hotspur ace Harry Kane has given a positive update on his ankle injury, while attending the Super Bowl in Atlanta. The England captain damaged ligaments in his left ankle during his side's 1-0 loss to Manchester United at Wembley last month, and isn't expected to return to first team action until March. The 25-year-old is widely regarded as one of the world's most lethal strikers, and racked up 19 goals for Spurs in the current campaign before picking up his injury. 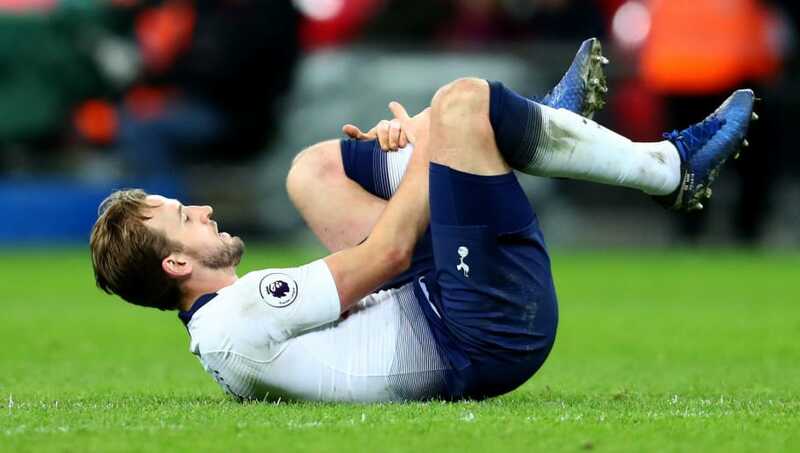 Speaking to Sky Sports about his injury, via the Mirror, ​Kane said: "It's going well. I went away for some warm weather training and we're stepping it up, (we will) see next week how we go, start to get the balls out and just see how the ankle reacts, It's going well so far but we have just got to take our time with it and make sure we get it right." ​Spurs have crashed out of both domestic cup competitions since losing their star striker, but the team have coped admirably in the ​Premier League, and currently sit comfortably in third place. With ​Liverpool just four points ahead of them - though, the Reds have a game in hand - the north Londoners could emerge as dark horse title contenders within the next couple of months. Mauricio Pochettino's side have benefitted greatly from Son Heung-min's return from the Asian cup, with the South Korean sensation scoring in each of his two games since coming back from the United Arab Emirates. Certainly, the 26-year-old looks to be a fine source of goals for Spurs in the meantime, as they await Kane's return from injury.